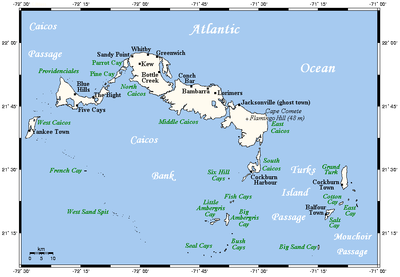 Turks and Caicos is an archipelago of 40 low-lying coral islands in the Atlantic Ocean, a British Overseas Territory southeast of the Bahamas. The gateway island of Providenciales, known as Provo, is home to expansive Grace Bay Beach, with luxury resorts, shops and restaurants. Turks and Caicos is an excellent destination for divers and snorklers. Smith’s Reef in Provo is one of the area’s most popular dive spots, thanks to a diverse collection of sea creatures in a spectrum of electric colors and a dramatic 2,134m underwater wall off Grand Turk island.. For a completely different vibe, explore the black coral and submerged overhangs of Black Forest or kayak the bright turquoise waters of Chalk Sound. Both the Caicos Conch Farm and the bird sanctuary on uninhabited French Cay offer unique ways to commune with local wildlife.